Country Archer has a bit of everything for omnivores, from different and unique flavors, to turkey, for all the non-red meat eaters out there. Turkey has two flavors: honey dijon and hickory smoke. Beef comes in mango habanero, crushed red pepper, sweet jalapeno, teriyaki, sriracha and original. 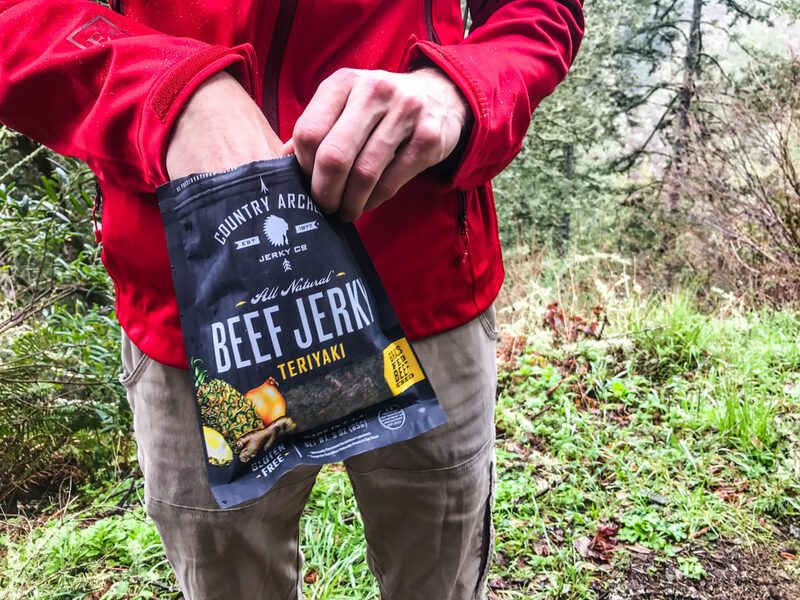 The jerky isn’t dry and won’t yank your teeth out when you go in for a bite. You aren’t going to pull a muscle tearing a piece off for your friend either. 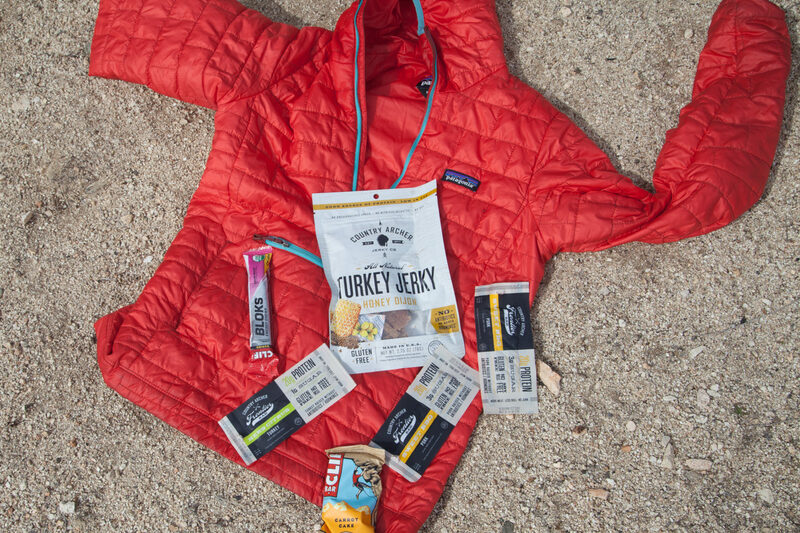 Out of all the jerky flavors, the Turkey Honey Dijon was the first I tried and it quickly became my favorite. In my old(er) age, I’ve discovered that I’m beginning to like mustard flavors. This one is very mild. The honey balances it out nicely without being too cloyingly sweet. The Frontier bars come in three different flavors: sweet bbq pork, cayenne pepper, and herb citrus turkey. Sweet BBQ pork and herb citrus turkey were my favorites. The pork was tangy and, well, sweet. The turkey reminded me of Thanksgiving. I pondered whether or not I could just pack a bar and some mashed potatoes. I tried the cayenne pepper last because I am not a fan of spicy. Much to my surprise, it packed no heat and was mildly flavored. These Frontier bars are perfect for a post-work, pre-gym pick me up, or for when you’re running out of gas on the trails. Unlike some of the Epic bars I’ve sampled, these aren’t too dry, but not too slimy either. Unlike Epic, Country Archer is not 100% Paleo. However, they do offer a Paleo-ish pack for sale. Country Archer is gluten-free, and free of hormones, antibiotics, MSG, and preservatives. The beef is 100% grass-fed. All food products are made in America. The Frontier bars and jerky are comparable in price to Epic or Tanka, depending on where you find them. Country Archer is about 25 cents cheaper. It’s not much of a discount but it’s something. Through Country Archer, an individual bar is $2.75 or less with a variety pack. Jerkies are $6. Buy through their online store or Amazon. You can also find them in real life at BevMo, Target, Costco, Starbucks, and more.